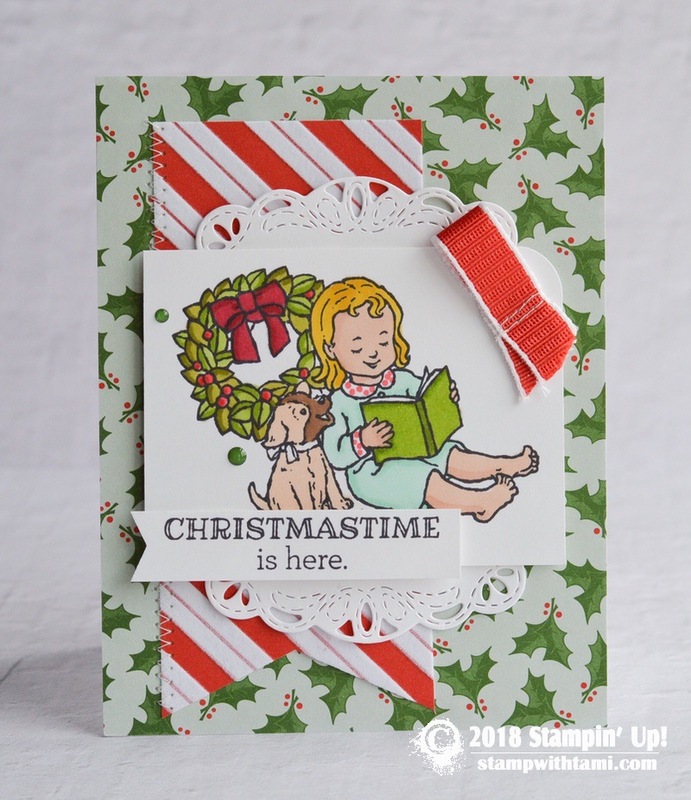 Christmastime is here from the Stampin Up Happiness & Cheer stamp set. The image is colored with the Stampin’ Blends Markers, and layered over a panel cut from the Stitched Labels dies. The background paper is from Santa’s Workshop DSP collection. WEEKLY NEWSLETTER & FREE TUTORIALS: Sign up for my weekly newsletter and get updates, specials a free card tutorials every week. CATALOGS ONLINE: Click for Stampin Up Catalogs online & how to get your hard copy. PAPER PUMPKIN CRAFT KITS: Learn more about Stampin Up Paper Pumpkin monthly kits, and my alternate projects. VIP ONLINE CLUB: Members only website filled with exclusive videos, tutorials and more. Earn free stamps and catalogs. PURCHASE THE DEMO KIT Get $126 worth of products for only $99. Plus shipping on your kit and my tutorial gifts (Above). Live paper-crafting "how to" video classes most Tuesdays & Fridays on YouTube & Facebook Live. Visit my Video Gallery for upcoming video dates, and my entire video library. Visit Tami's profile on Pinterest.